I drum because...... Well, there is no one reason I drum. I drum because I lose myself when ever I sit on the throne. I never think about what happened that day or why a certain thing happens, I never think about anything. The music just comes out of me. If you think about it, you get caught up on it. I'm sure many other musicians feel this same thing. Music is felt within; not forced upon. The drums became my voice, where I had none. I was never able to speak my mind, and there is no one thing I can blame that on, I am a subject of my environment. But when I first picked up a pair of sticks, I felt at ease, at home. I had a new language I needed to learn, the language of music, my new voice for the world to hear. For once in my life I finally found what gives me true happiness, and I wasn't worried about what others thought. I played what I felt, and all my unspoken moments in life became spoken for. 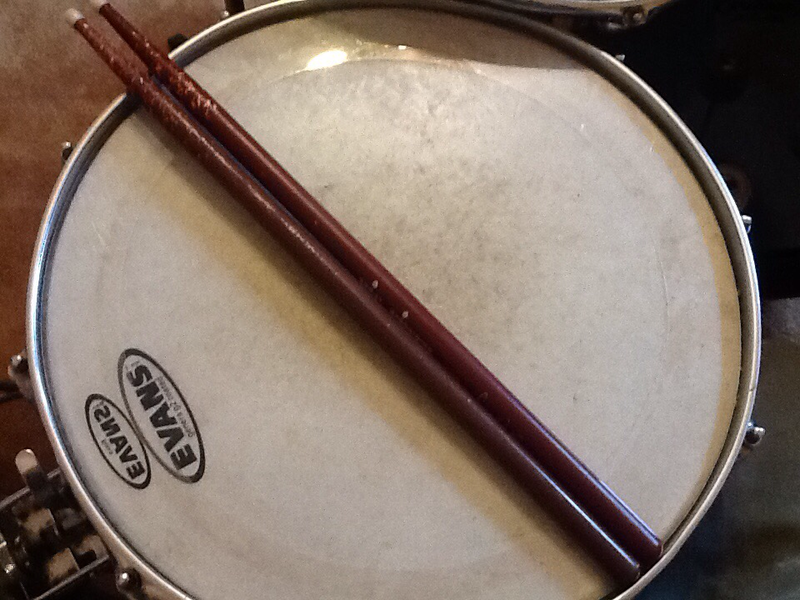 I love drumming and the whole learning experience. If it sounds good, it will sound good, but it's very easy to tell when something isn't right. Drumming teaches you to trust your ears, and body. If it feels awkward, it will sound awkward. I also love drumming for the satisfaction of getting it right. Once you develop a large enough vocabulary, you'll be able to play and contribute to any band. I drum for the love of my music, as well. Quite recently, I acquired a love for jazz. After I heard my first jazz song, I became obsessed. It's the only genre that can calm me as well as it can fuel me with adrenaline. 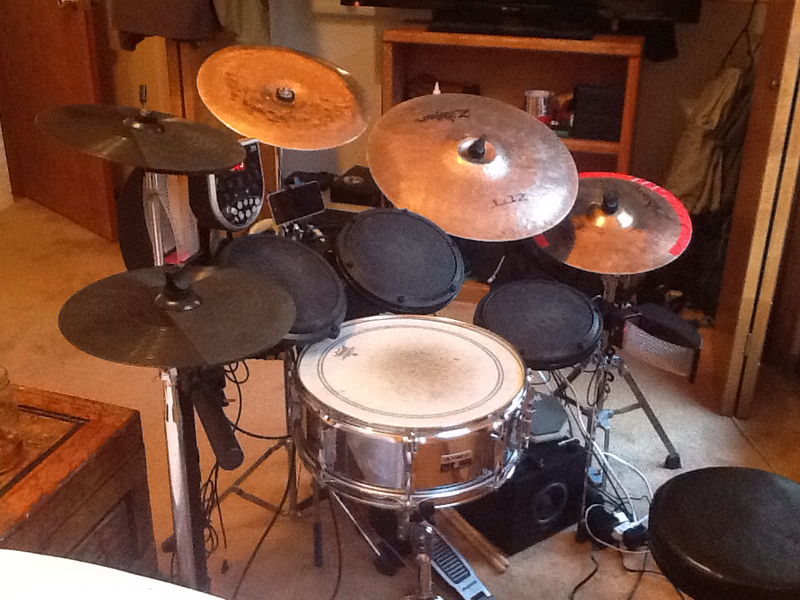 So, I obviously took up jazz drumming, and I haven't looked back since. The great thing about jazz drumming is that there is not a set way of learning it; It's felt. It's improvised. As a jazz drummer, you have to feel it in your heart. You contribute to the band and not steal the show. Jazz teaches you to hold back or give it your all, but only when needed. For these reasons, and many others, is why I drum. 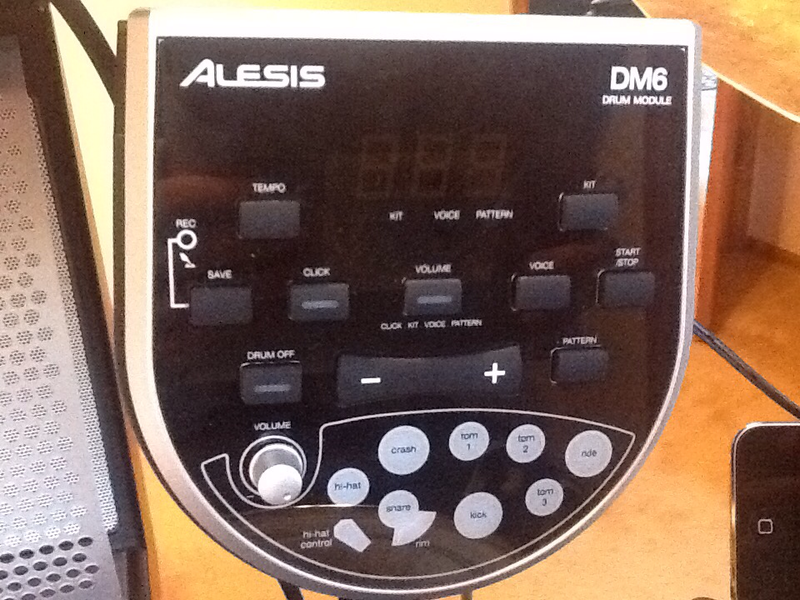 This is my drum set. 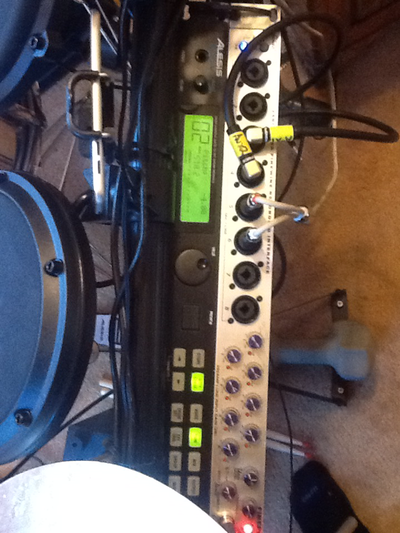 It is what's known as a hybrid kit, that is when components of an electronic kit are combined with components of an acoustic set. Having a set like this greatly increases the amount of sounds you can produce, and makes it much easier to accommodate to different playing styles and music genre. and two drum modules and a sound mixer to run everything. 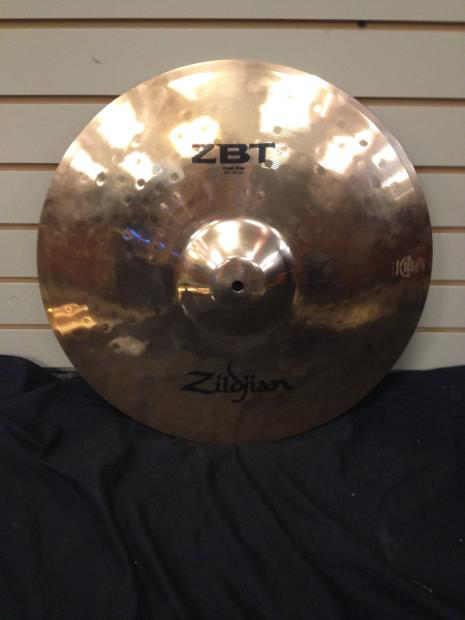 This is my hand hammered Zildjian 18-inch crash ride. Before and after. 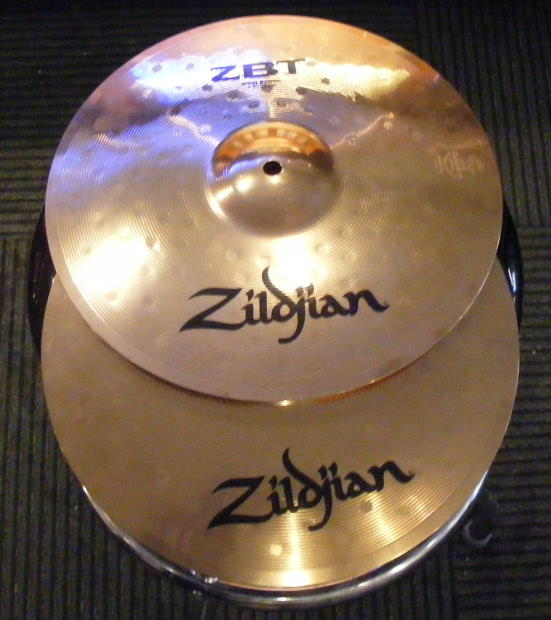 Hammering a cymbal is a way to change the sound it produces. There is no magical technique to hammering a cymbal, it's all trial and error. For me at least. 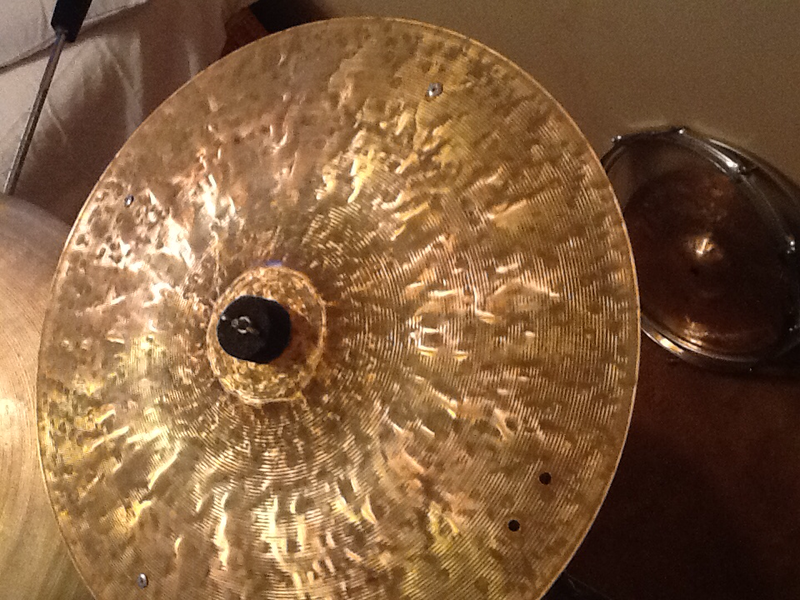 The end result turned the cymbal from a high pitch zingy, tin to a much darker warmer whoosh. 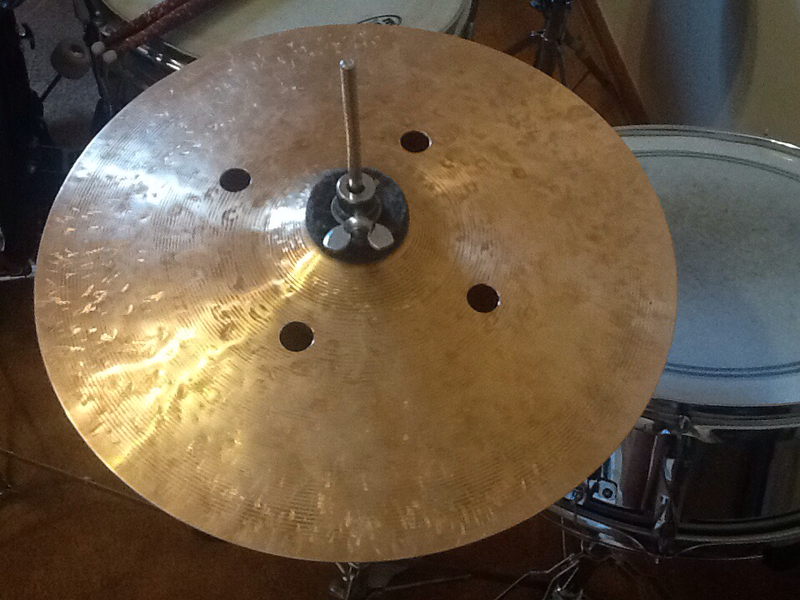 Rivets were installed to give the cymbal some sizzle. I aged the cymbal with a combination of salt, vinegar, water. This corrodes the cymbal almost instantaneously. 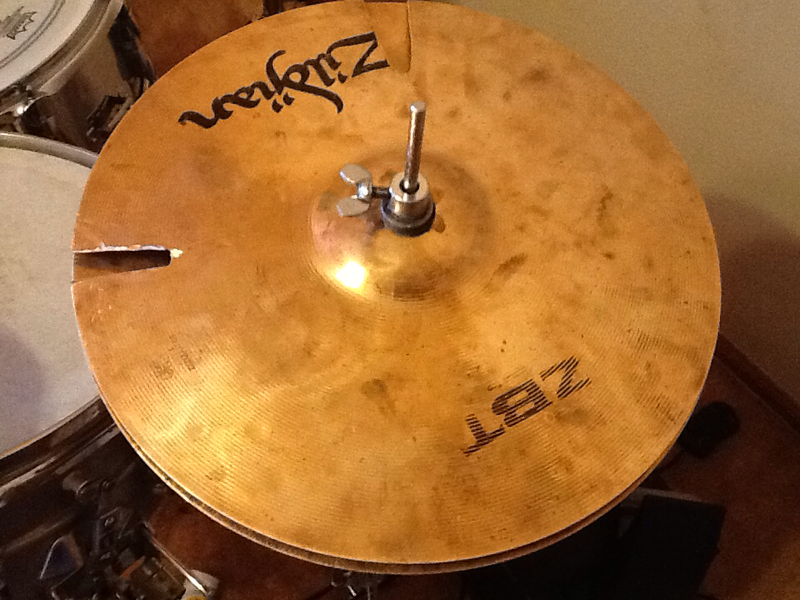 After there's a layer of patina on top, I spin the cymbal and drag sandpaper on top to reveal the high hammer marks. This is what gives it the wavy pattern. I used a higher grit sandpaper on the center and middle areas to create a "sun looking pattern". 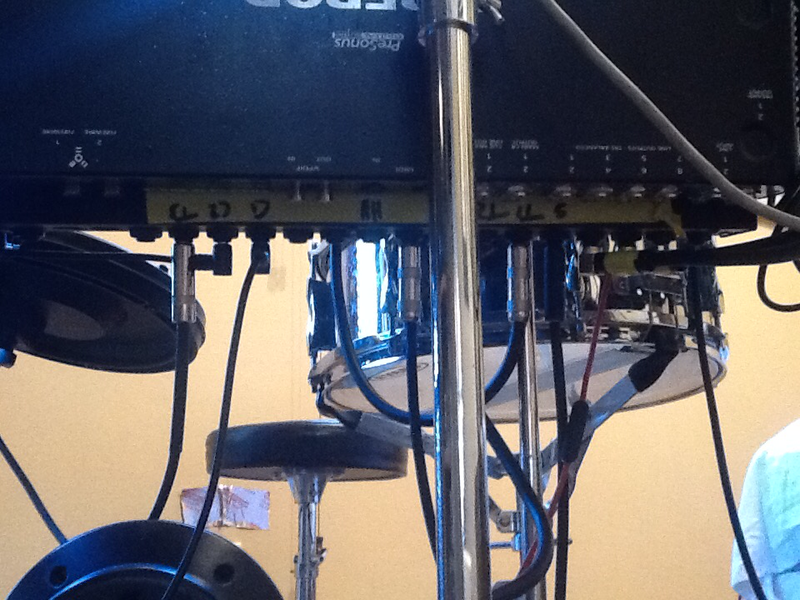 These are my redone hi hats. Top hat had two large cracks, which were cut out. The bottom hat had four holes drilled into it. This made it much lighter sounding. The two cut-out sectionson the top hat, create a much more open resonance. This kit was lent to me by my uncle, and I couldn't be any more excited.